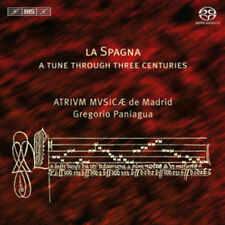 Hans Kotter : La Spagna: A Tune Through Three Centuries CD (2011) NEW Title: La Spagna: A Tune Through Three Centuries Artist: Hans Kotter Genre: Classical|Chamber Format: SACD No. 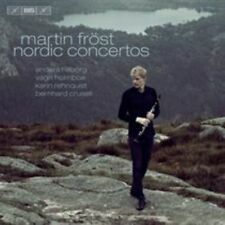 of Discs: 1 disc(s) Studio / Label: Bis UK Release Date: 31 May 2011. Label: Linn Records. Publisher: Linn Records. Cantilena: Assez lent by Katherine Bryan - Katherine BryanBR7: N. Rorem: Early in the morning by The Prince Consort - The Prince ConsortBR8: I. Albeniz: Iberia Book 1 - 2. Format: SACD. Artist: Various Artists. 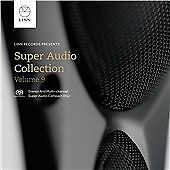 Title: Super Audio Collection 5. Early in the Morning. 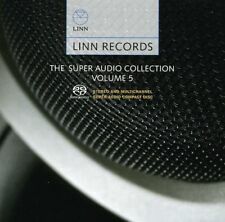 Record Label: Linn Records. Condition: New. Kyrie Eleison. 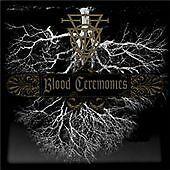 Release Date: 2011. Artist: Kalev Tiits. Format: SACD. Title: Stone Dance. Genre: Classical Composers. Various Artists - Jazz Delights, Vol. II [New SACD]. (SACD-HYBRID) Opus 3 Records is proud to announce the release of their second Jazz Delights album entitled: "Jazz Delights Vol. II", an album containing great Jazz recordings from various Opus 3 Records albums from the early 1980 's until now. Label: Linn Records. We don't bite. Add to favourites. 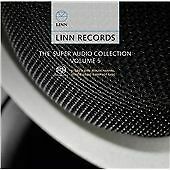 Label: Linn. Sound format: Hybrid SACD. 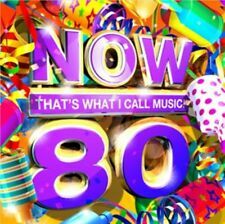 Format: CD. Prince Consort "Early in the morning". We will dispatch the product after receiving the money. Condition: new. Release: 2013-11-01. Bryan, Katherine "2. Format: SACD. Title: Tas-The Absolute Sound 2006 / Various. Artist: Various Artists. Format: SACD. Title: Tas-The Absolute Sound 2007 / Various. Artist: Various Artists. Format: SACD. Title: Tas-The Absolute Sound 2008 / Various. Artist: Various Artists.